Frataxin antibody recognizes frataxin, also known as Friedreich ataxia protein, FRDA, or FXN. Rabbit anti Human frataxin antibody recognizes frataxin, also known as Friedreich ataxia protein, FRDA and FXN. This nuclear gene encodes a mitochondrial protein thatfunctions in regulating mitochondrial iron transport and respiration. The expansion of intronic trinucleotide repeat GAA results in the autosomal recessive inherited disease Friedreich ataxia. Alternative splicing results in multiple transcript variants (provided by RefSeq, Jun 2009). 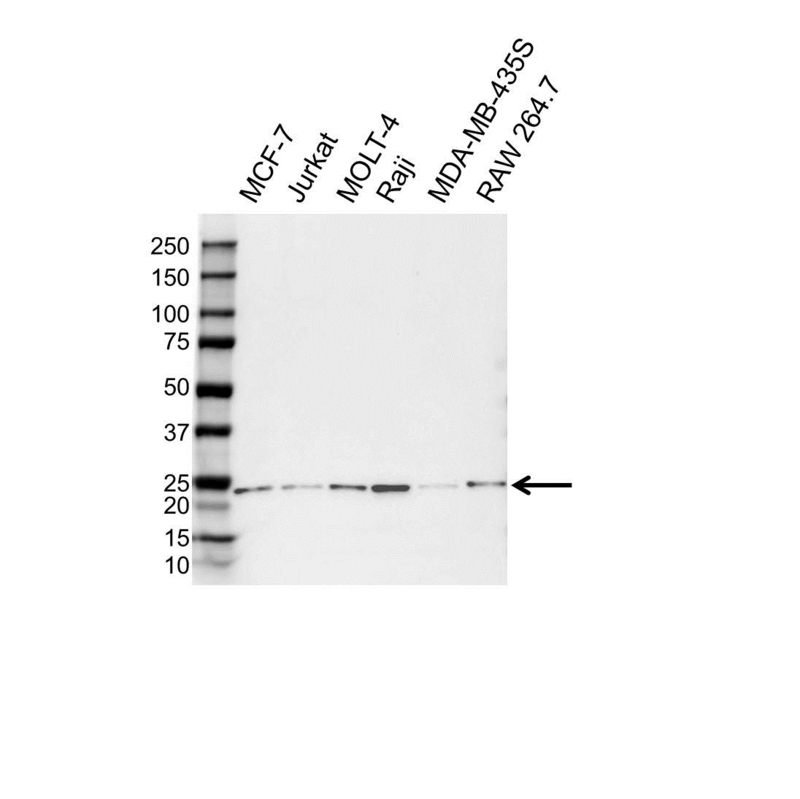 Rabbit anti Human frataxin antibody detects a band of 24 kDa. The antibody has been extensively validated for western blotting using whole cell lysates.